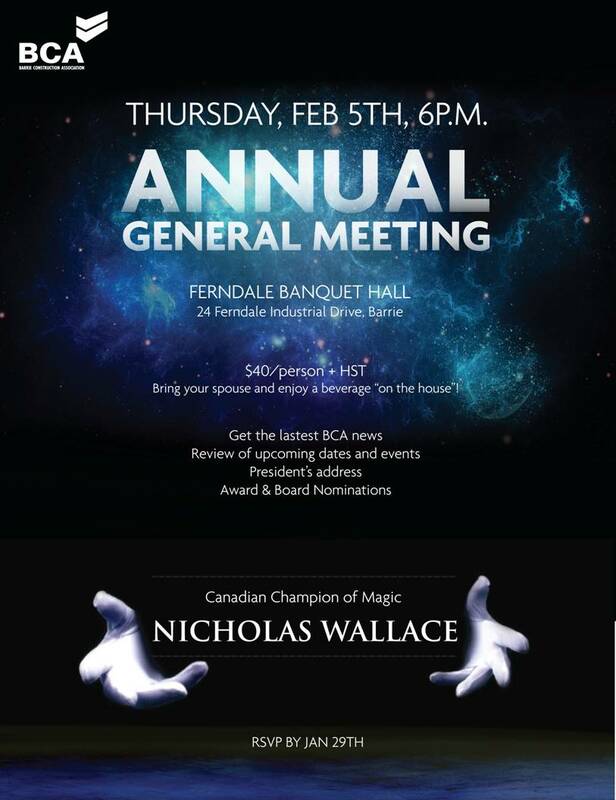 The Barrie Construction Association‘s annual general meeting on Feb. 5 will be astonishing — with Nicholas Wallace, Canadian champion of magic, entertaining members and spouses. There’ll be some serious business, as well, with a president’s address, review of upcoming events and award and board nominations. The event starts at 6 p.m. at the Ferndale Banquet Hall. “Bring your spouse and enjoy a beverage on the house,” says the event notice. Tickets are $40 per person plus HST and should be reserved by Jan. 29. For more information and to register, visit the BCA site barrieca.com.